Buy Naahva a Coffee. ko-fi.com/naahva - Ko-fi ❤️ Where creators get paid by fans, with a 'Buy Me a Coffee' button. Hi! I'm Naahva - a digital Artist drawing mostly Furry & Fanart-Stuff! Thank you so much for supporting me in making a living doing what I love most ! Every donation is much appreciated ;///A//; !!!! 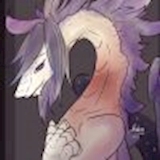 I am both a Furry and Anime Artist, who is heavily interested in both Digital and Traditional Art, as well as doing Animation, or some short videos! I long to see the world and study as much as I can. All donations go towards education, since I am currently saving up to become a Psychotherapist. Secured Payments. Support goes to Naahva's account. Upgrade Naahva to a yearly Gold Membership with a one-time payment.